Athens-Clarke County is updating and expanding the scope of their Bicycle Route Plan, and could use your input! 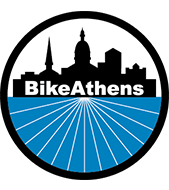 The first step of the project focuses on Southeast Athens, and your input will be used to help determine where bike routes should be placed in order to best serve the greatest number of people. Please take a moment to read this Informational Letter, then fill out the survey below!